Set in central Paris, this hotel is located opposite Gare de l’Est Train Station. It has a 24-hour front desk and free Wi-Fi access is available in public areas. A TV and telephone are standard in each guest room. 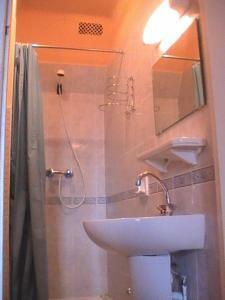 Each room has a private bathroom fitted with a shower. All of the rooms feature wooden furnishings and are serviced by a lift. A continental breakfast is served every morning at Hôtel de Lorraine, and can be taken in the guest room. Gare du Nord Train Station is 500 metres from the Lorraine hotel, providing direct access to Charles de Gaulle Airport. The lively Montmartre district is a 20-minute walk away. Guests wishing to have breakfast are kindly requested to inform the receptionist the night before. A TV and telephone are standard in each guest room. 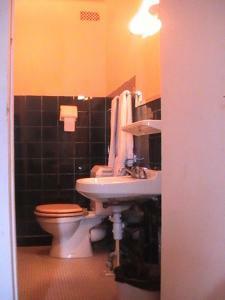 They also have a private bathroom. Rate: € 102.50 ... € 151.67; select dates below to get current rates. 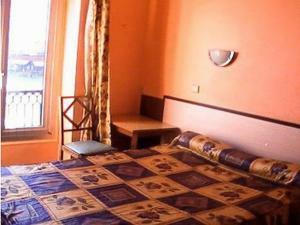 Rate: € 75.00 ... € 130.00; select dates below to get current rates.